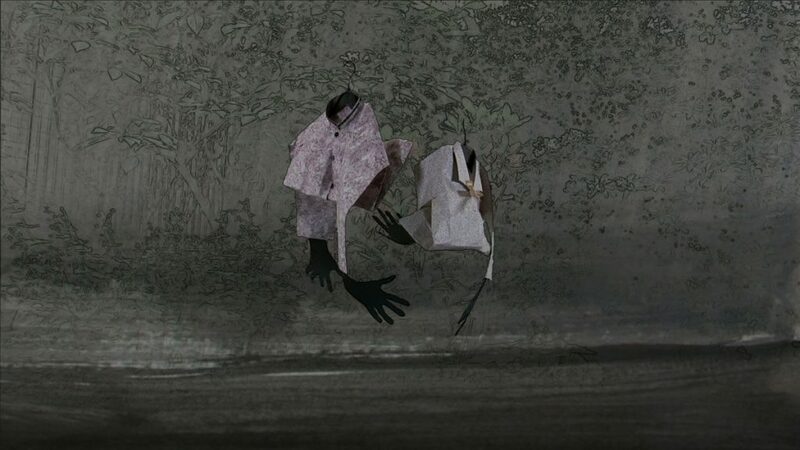 Two paper figures in the afterlife seeking each other out to continue the dance; sometimes loving, sometimes not. 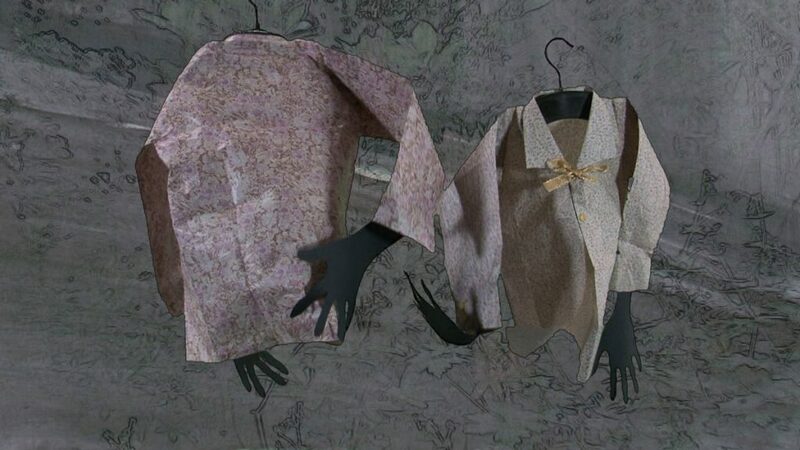 The two paper jackets (without the hands) are original Qingming objects from Hong Kong. 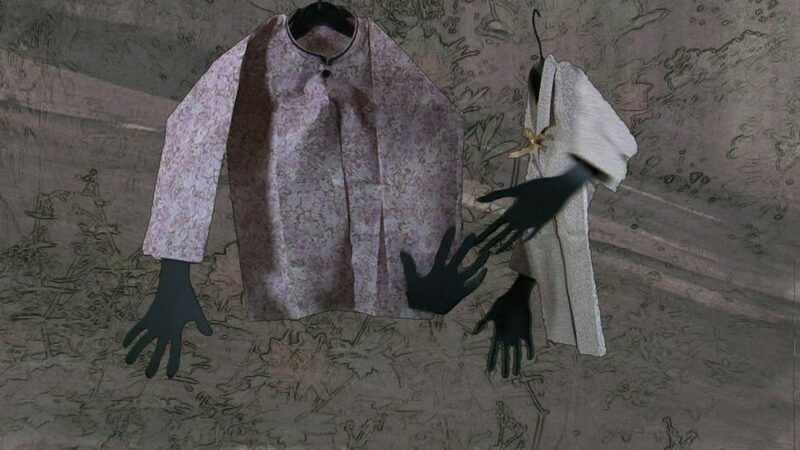 They are being manufactured for the Qingming Festival in China. This is the day for mourning and honoring the dead. People burn all sorts of artificial goods (entirely made out of paper) on the grave, so the dead are taken care of in the afterlife.